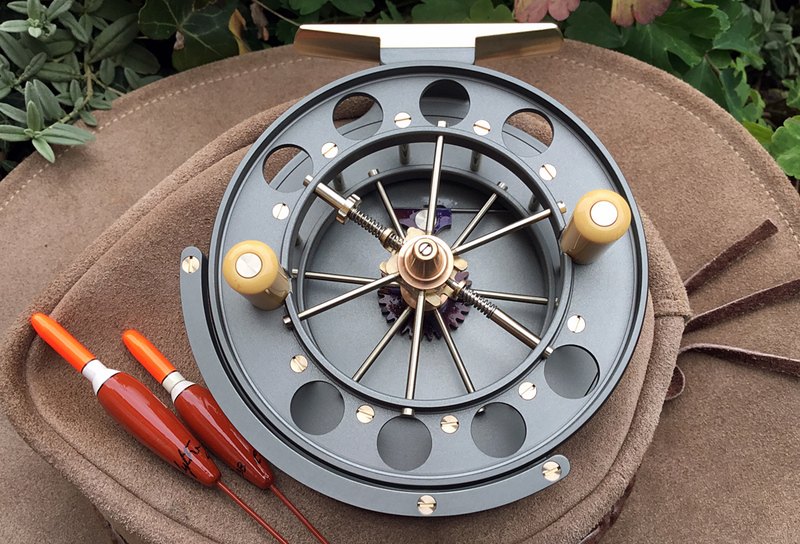 This reel is a true all rounder, the traditional aerial. Ideal to compliment a cane rod and Wallis cast, this is my favourite reel from the whole collection, plain in looks but a dream to fish with. 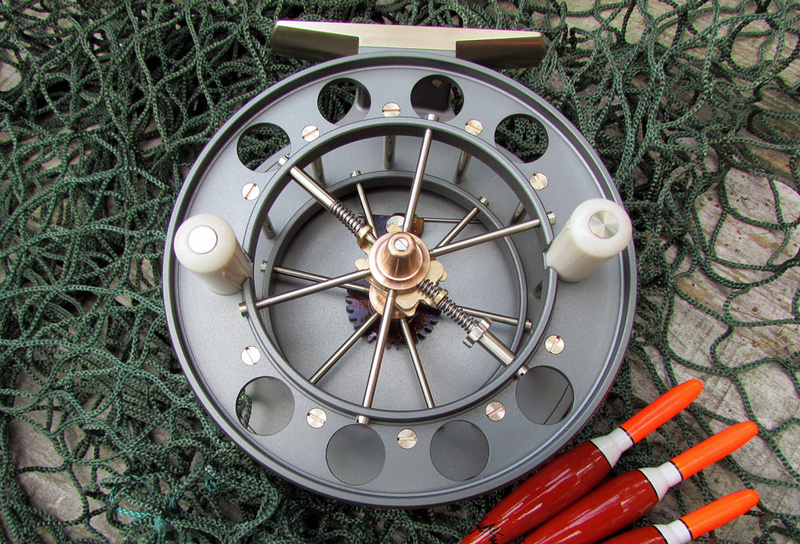 The reel is constructed with 12 spokes and ventilated front rim with 8 large holes. The reel is fitted with a brass button ‘V’ check mechanism and ivory handles. 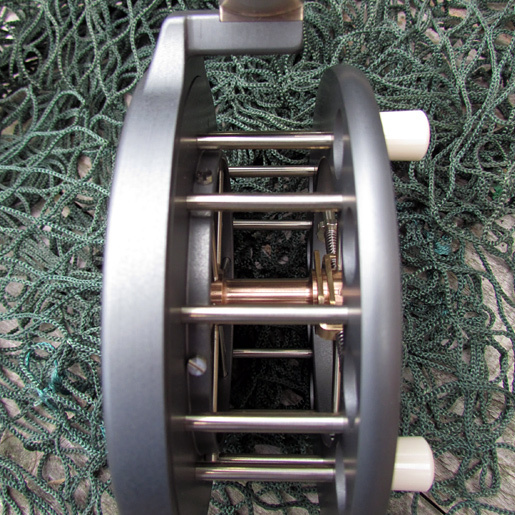 The reel is finished in slate grey anodize with brass and solid nickel silver fittings. All reels are supplied with a heavy cotton embroidered draw cord pouch and dropper bottle of Chris Lythe reel oil. 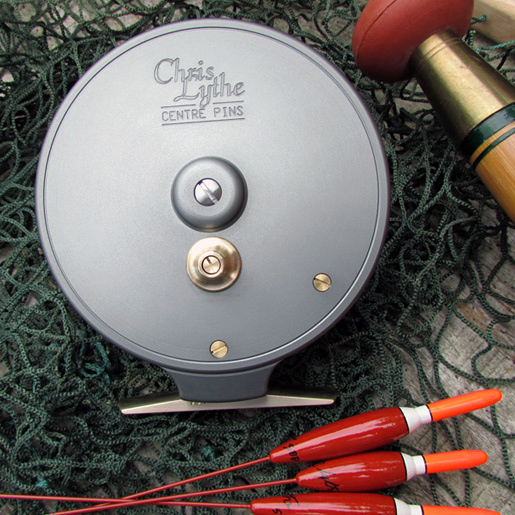 The 1915 Avon centre pin is not a limited edition reel and is still in production by Chris Lythe Centre Pins. Browse our current selection of centrepin reels in-stock. If you would like to register your interest for this model please get in touch with Chris.